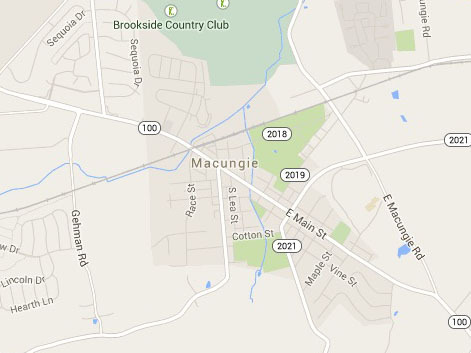 Macungie is located in the Lehigh Valley of eastern Pennsylvania, about eight miles southwest of Allentown. Easy access via Interstates 78 and 476. • Follow I-78 west, past Bethlehem and Allentown. Exit onto Route 100 South (exit 49-A). 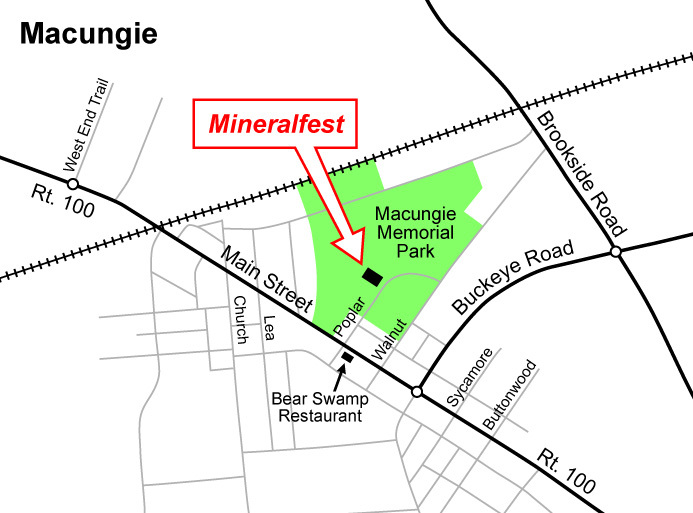 • Follow Route 100 south for six miles to Macungie. • Turn left onto Poplar Street (directly across from the Bear Swamp Restaurant). • Follow I-476 (northeast extension of Pennsylvania Turnpike) to the Lehigh Valley interchange (Exit 56). • Then follow Route 22 westbound for four miles (Route 22 will combine with I-78). Exit onto Route 100 at exit 49-A. • Follow Route 100 north. • At Shimerville, Route 100 takes a left turn and heads toward Macungie (Routes 29 and 100 split at this point). 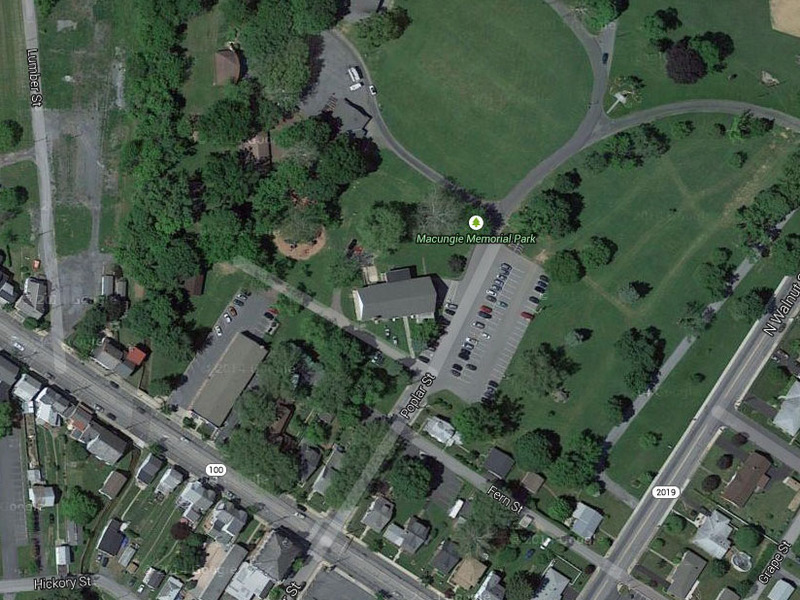 • In the town of Macungie, turn right onto Poplar Street (second street after the stoplight).